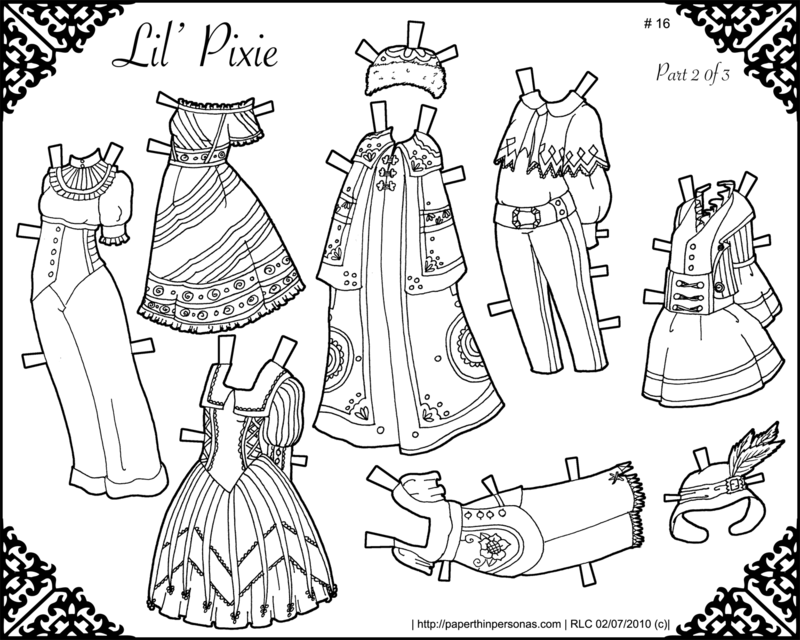 The pixie paper doll is one of my favorites. Her clothing is all inspired by psuedo-Victorian clothing crossed with sort of funky children’s clothing. Yeah, don’t judge me. So, this weekend has gone really fast. I can’t believe I have work tomorrow. How is it that time goes so quickly? Ahh well, I have some homework to get done before bed. Enjoy the paper doll. The clothes do look great. The patterns are so cool. I can’t wait to color them. Thank you both. These were fun to draw. there seems to be something wrong with the pdf file. when I click on it I get a page not found notification. i get the error too ~ still, i love the long coat! the designs are lovely right down to the little clasps in front! We love these designs but I can’t seem to get number 2 to print from a PDF file, I keep getting an error message. My daughter was sad that we couldn’t get them all.. Any hopes of getting the error fixed? Keep up the good work…. Today was fix-things-I’ve-been-putting-off day, so this should be fixed now. If you still have trouble, I’ll try another solution.